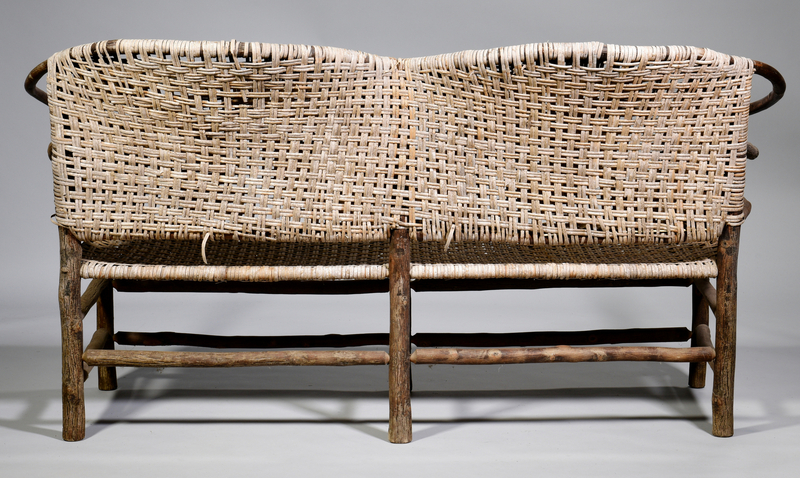 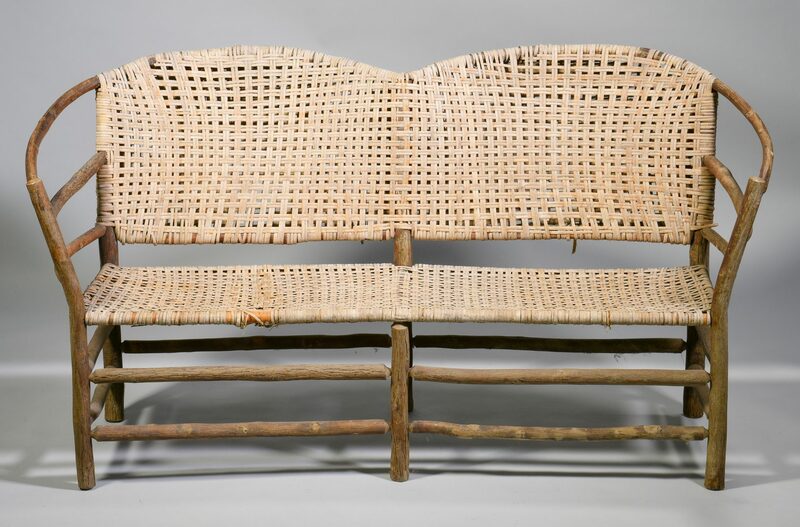 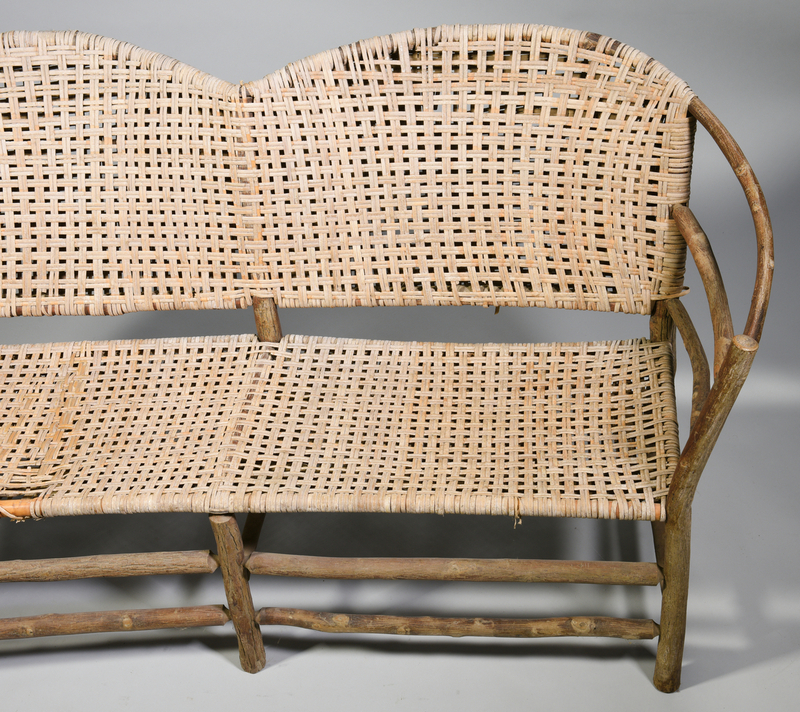 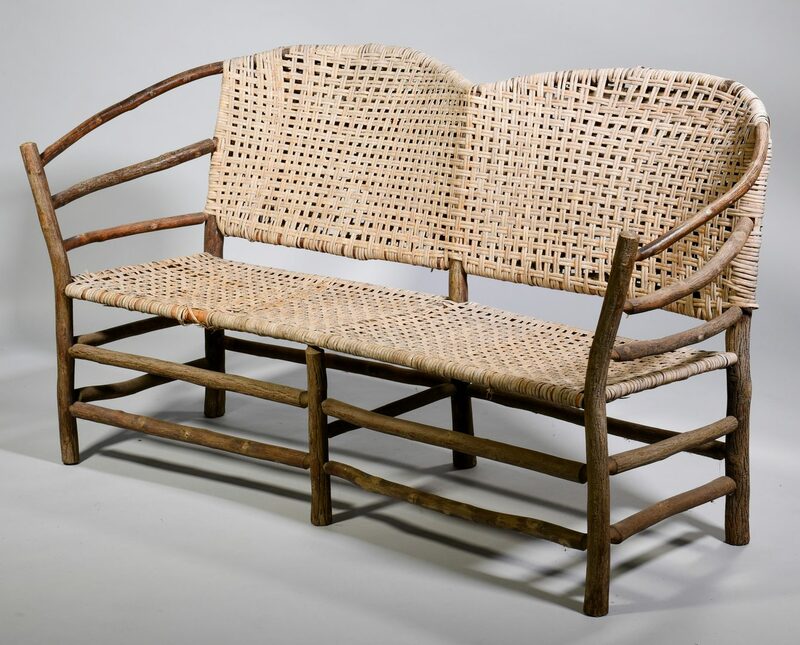 Old Hickory or Adirondack style settee or bench, woven cane back and seat on bentwood frame. 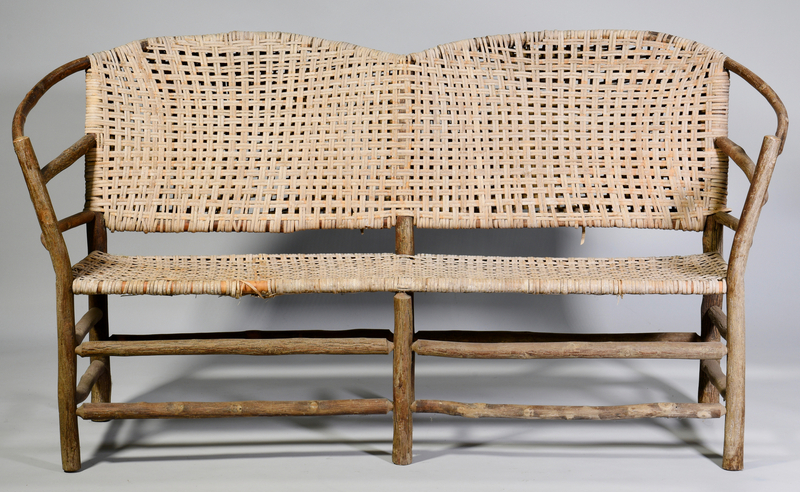 37 1/4" H x 70" L x 21" D. Early to mid 20th century. 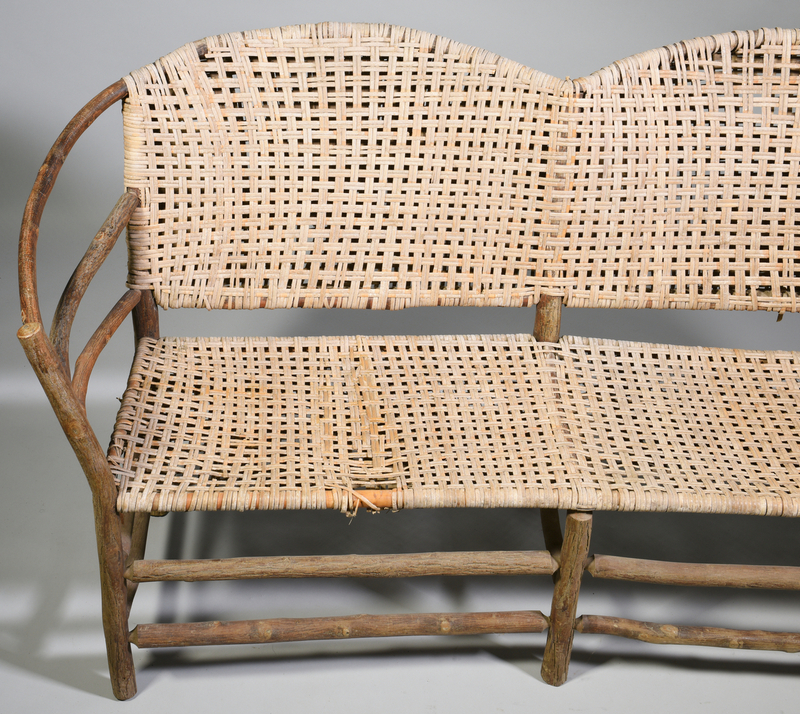 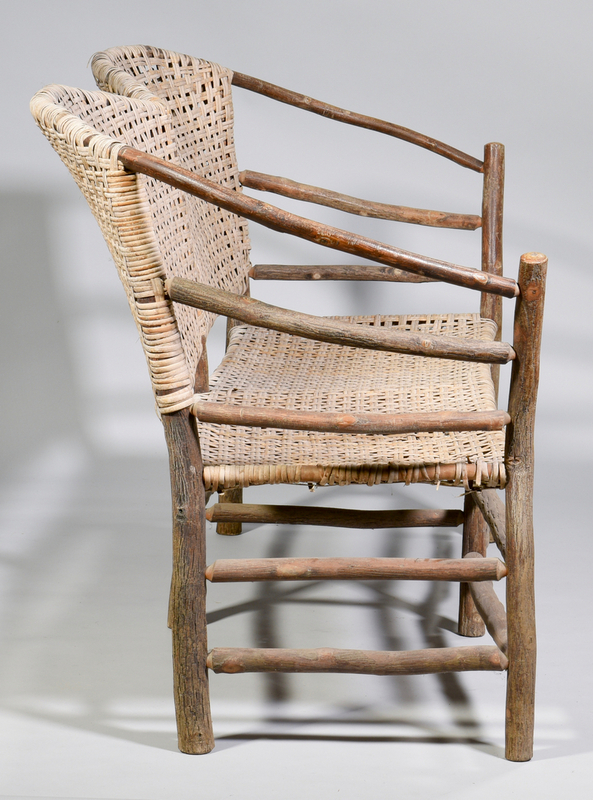 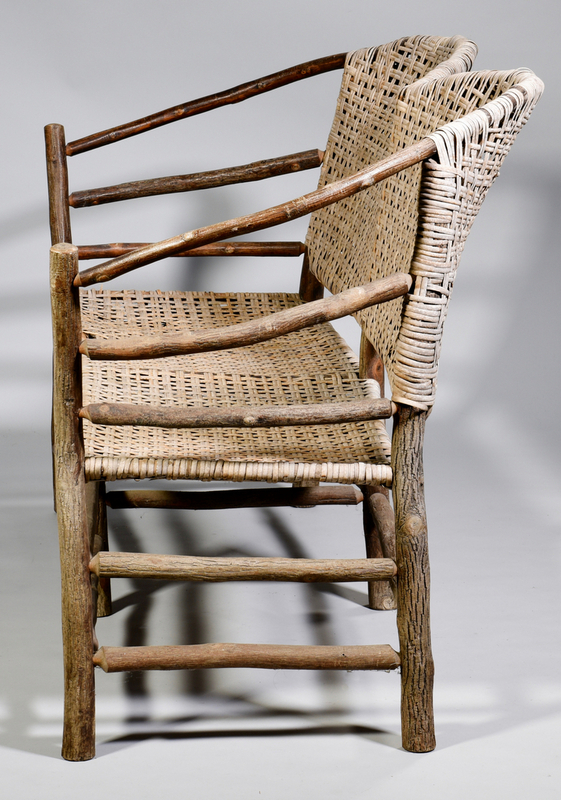 CONDITION: Old weathered dry finish to all surfaces, overall general wear with some breaks to cane weavers on seat front edge and top and bottom edge of back.